According to the Facebook post by Raden DiDi Izdihar Akid the incident happened yesterday. 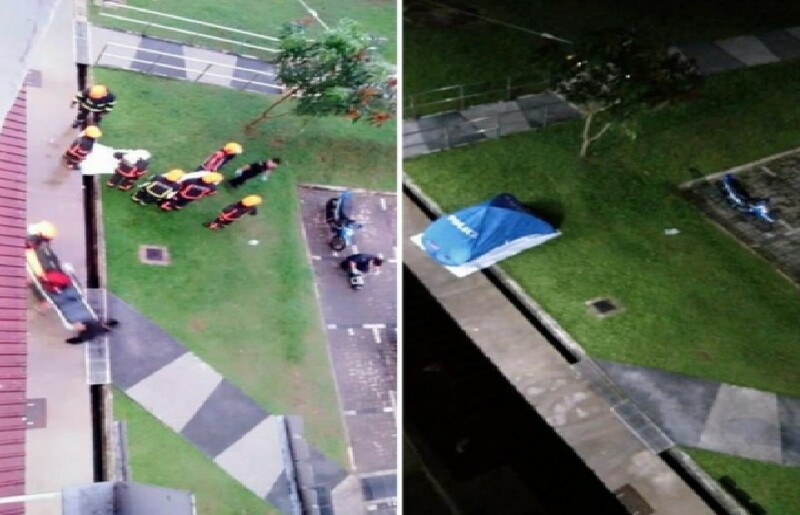 Just happened in AMK Ave 5 – RIP. There is at least one suicide death a day right now. Life is getting stressful now in our country…everything that can rise has risen and there is no reprieve. Let us look out for one another Singaporeans and be a gracious kind-hearted society! A smile or simple acknowledgment can do wonders to one who is going through depression. Next Article GUY GOES MIA AFTER RENTING VEHICLE TO DRIVE UBER. PLEASE HELP SHARE!